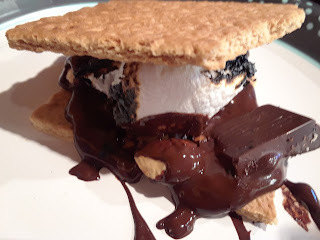 We usually take the kids to a new, fun restaurant in Atlanta and this one did not disappoint! SUPER BOWL! Woot! We are going to our friend's house to watch the Super Bowl, which we have done every year since moving to Georgia- I think this is the 5th year in a row with these friends! 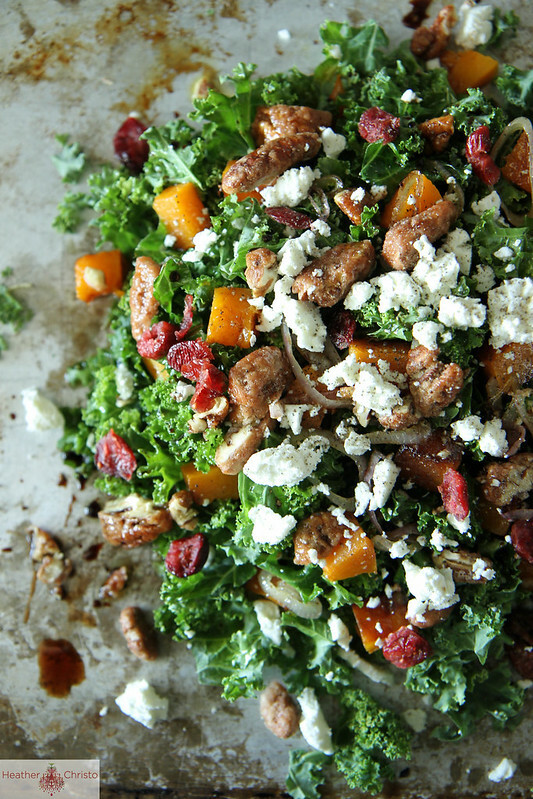 I use butternut squash, raisins, goat cheese and almonds- I change it quite a bit but use the "idea" of the salad! 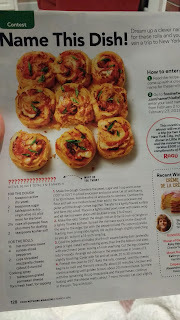 In my desire to try to have meatless meals (for budget reasons and health reasons sometimes) throughout the week, I like to throw some falafels in there every now and then. WE are getting to go to the circus tonight!! Woohoo! We have never taken the kids and our friend won some tickets and is taking us! 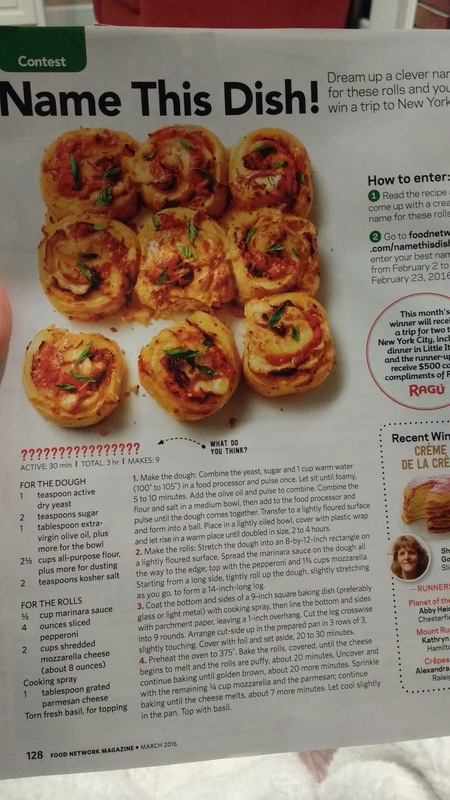 Will keep it super simple- maybe will use this recipe but maybe just breakfast for dinner : ) They are pizza rolls from my latest Food Network magazine. 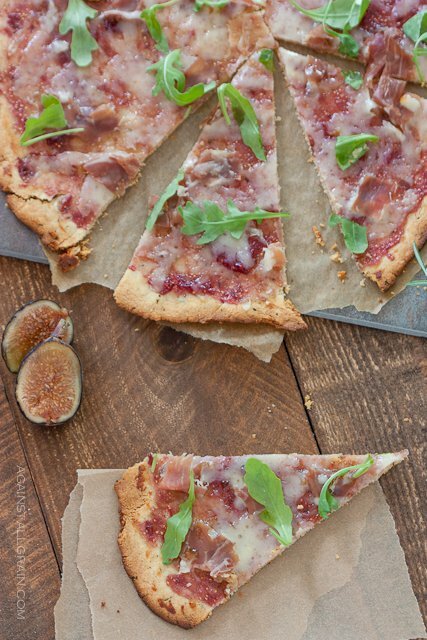 Trying this from another blog I go to- Against All Grain-Hopefully it is a winner...anything with fig jam has got to be good??? Friday night- DATE NIGHT! The end. 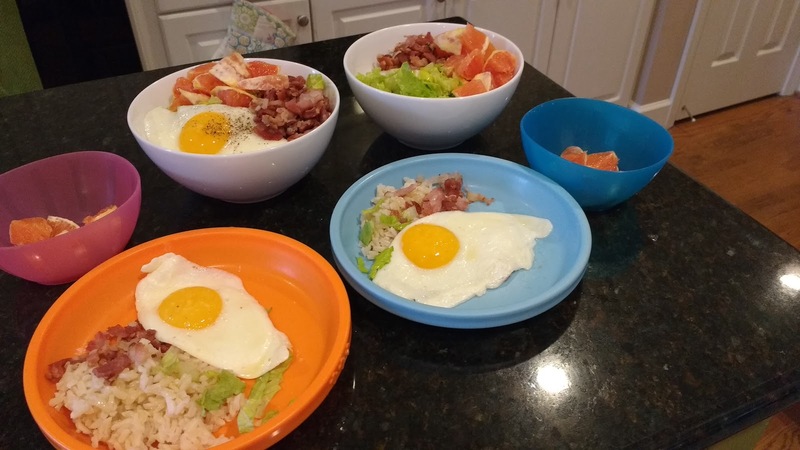 Here is a picture of the American Rice Breakfast Bowls I made last week and it was a winner for our house! And these were the shrimp tacos from last week- WOULD TOTALLY do these again! 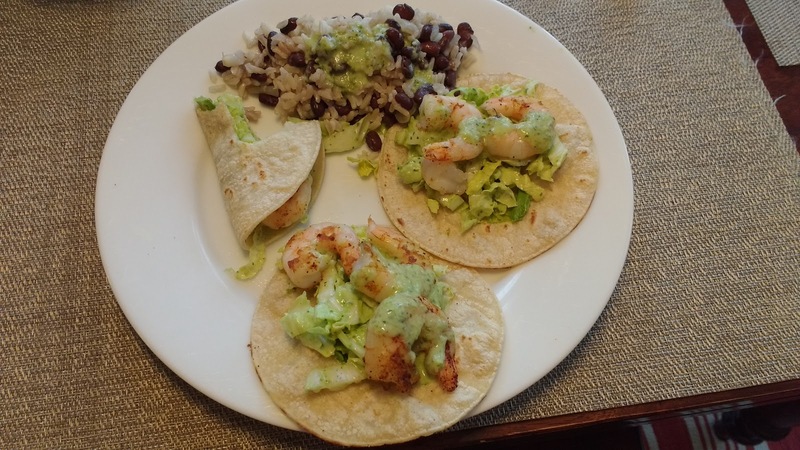 These were both repeat soon dishes!